HUVEC are isolated from the vein of the umbilical cord and are commonly used for physiological and pharmacological investigations, such as macromolecule transport, blood coagulation, angiogenesis, and fibrinolysis. Human umbilical vein endothelial cells (HUVECs) have played a major role as a model system for the study of the regulation of endothelial cell function and the role of the endothelium in the response of the blood vessel wall to stretch, shear forces, and the development of atherosclerotic plaques. Each human umbilical cord vein is individually processed (or pooled for mixed products) to isolate endothelial cells through collagenase digestion and culture. 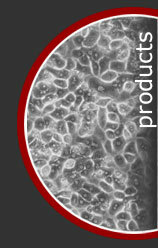 Frozen HUVEC products are cryopreserved at the end of the primary culture. HUVEC are guaranteed to reach 15 population doublings when cultured with ZenBio's recommended medium. Samples from each donor are tested via PCR to confirm non-reactivity.